To celebrate the longest day of the year in the southern hemisphere, the Livingstone Online team is delighted to release today digital images of 66 manuscript items drawn from six repositories across South Africa. The release marks the end of the first phase of a project that we plan to complete in 2017. Figure 1. 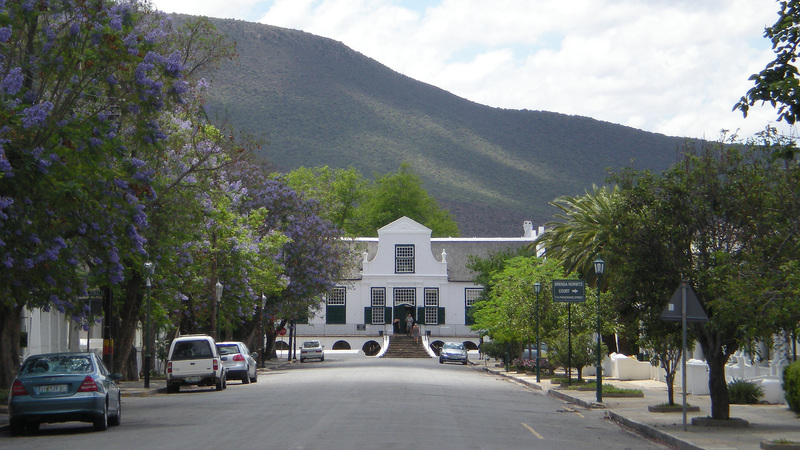 Old frontier town of Graaff-Reinet, with the Graaff-Reinet Museum at the top of the street. David Livingstone once referred to Graaff-Reinet as the “prettiest town in all Africa.” Copyright Jared McDonald, CC BY-NC 3.0. Since 2013, a small contingent of the Livingstone Online staff has been engaged in the “Livingstone’s Manuscripts in South Africa” project. The project’s goal is to partner with repositories in South Africa in order to digitize and encode their original Livingstone manuscript holdings and to create a critical edition of this collection for Livingstone Online. “Livingstone’s Manuscripts in South Africa” has been steered by the collective efforts of Livingstone Online’s director Adrian S. Wisnicki, interface designer Angela Aliff, research assistants Mary Borgo and Alex Munson, and project scholar and lead contact for southern Africa research Jared McDonald. Figure 2. 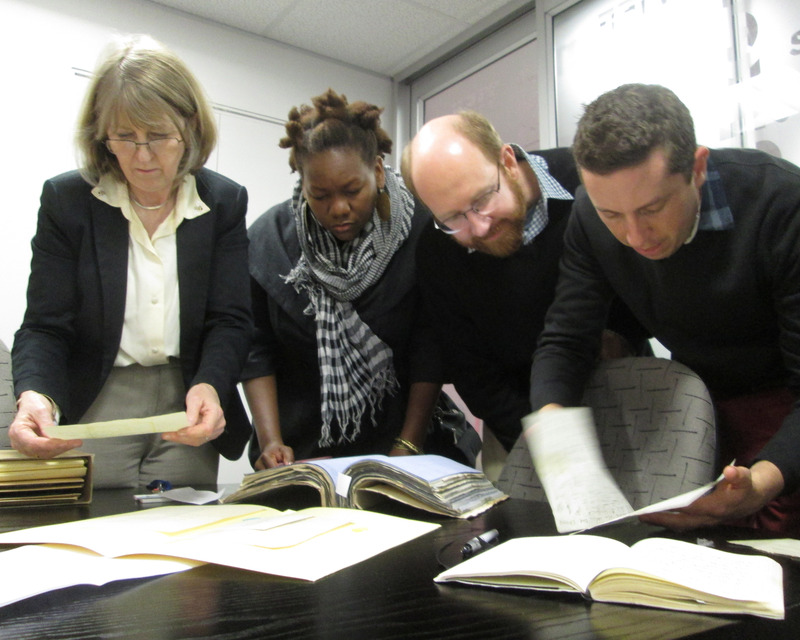 From left, retired head of Special Collections, University of Cape Town Library, Leslie Hart, together with student Treasure Redmond, project director, Adrian S. Wisnicki, and project scholar, Jared McDonald, examining Livingstone letters in 2013. Copyright Angela Aliff, CC BY-NC 3.0. To date, Livingstone Online has collaborated with six libraries, museums, and archives across South Africa which house original Livingstone documents and has collected 455 high-resolution digital images of original Livingstone manuscript items. As a bonus, the project includes additional digital images of four commemorative items, bringing the total number of new items published to 70. 1) Brenthurst Library, Johannesburg, 2) National Library of South Africa, Cape Town, 3) Special Collections, University of Cape Town Library, Cape Town, 4) Cory Library, Grahamstown, 5) Kimberley Africana Library, Kimberley, and 6) the Graaff-Reinet Museum, Graaff-Reinet. Figure 3. 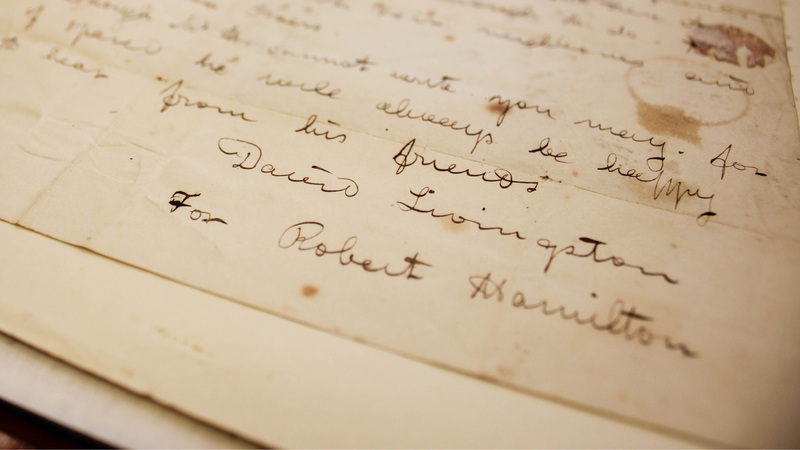 Letter to Robert Hamilton signed by David Livingstone, University of Cape Town Library, Special Collections. Copyright Angela Aliff, CC BY-NC 3.0. The next phase of this project, scheduled to conclude in mid-2017, will see the release of critically edited and encoded transcriptions of the 66 manuscript items and, possibly, the release of additional items from South African repositories with which we have not yet partnered. The end of the third phase of the project (late 2017) will result in the publication of supporting critical materials, including a long essay on the South African items as a whole. The essay will set out a broad analysis of Livingstone’s surviving manuscripts in South Africa and will contextualize these manuscripts through a discussion of Livingstone’s memorialization in South Africa from the nineteenth century to the present. Figure 4. 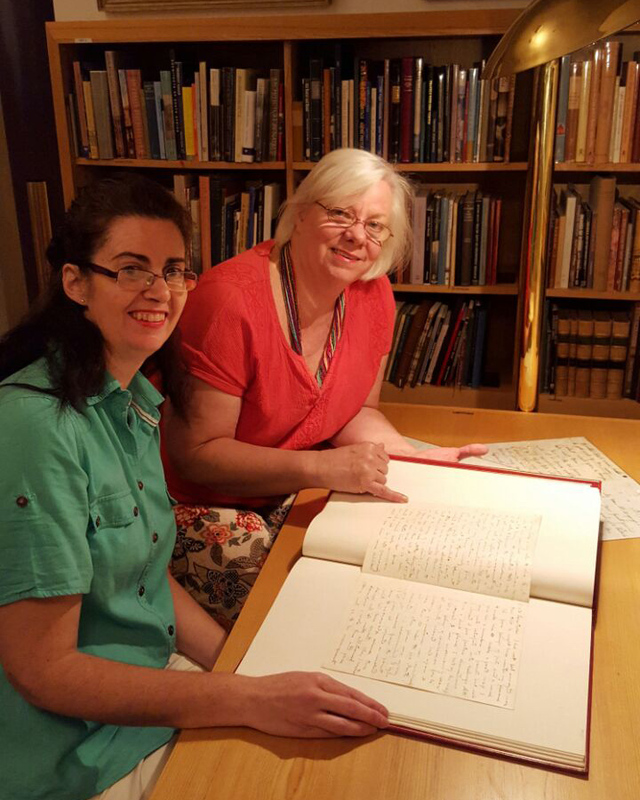 From left, head librarian of manuscripts collections, Jennifer Kimble, and library director, Sally MacRoberts, Brenthurst Library, surveying an original Livingstone letter in 2016. Copyright Brenthurst Library, CC BY-NC 3.0. Through this project, Livingstone Online is publishing Livingstone primary materials from Africa for the first time. Such publication digitally unites a collection of Livingstone manuscripts otherwise scattered across South Africa. In several cases, the project also represents the first time that these letters have been made available to the general public. Most importantly, the Livingstone Online project team is proud that this new collaboration helps reach across one of the greatest divides in modern academic research. Although there is still much work to be done, we hope that this project will be a springboard to further such collaborations for Livingstone Online in the future. Figure 5. 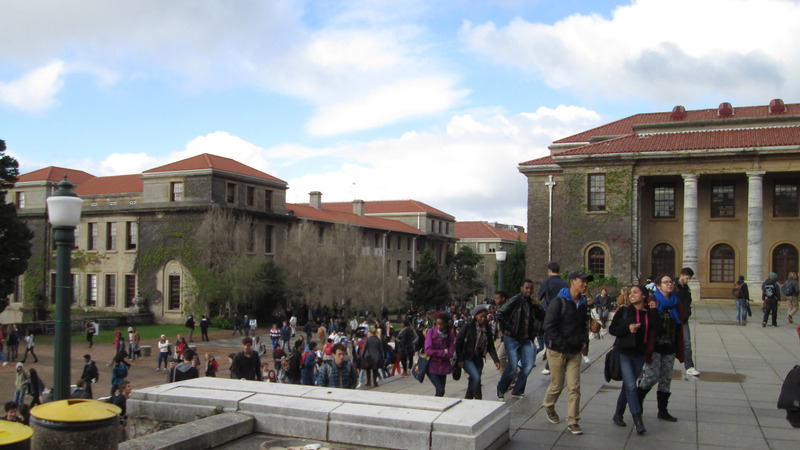 Students at the University of Cape Town, 2013. Copyright Adrian S. Wisnicki, CC BY-NC 3.0.